Cryptocurrencies and traditional financial institutions have a complicated relationship. To use a sports metaphor, crypto is the inexperienced rookie ready to make its mark, and big banks are the trustworthy veteran. They provide steady performance and the reliability that only stems from experience, but that doesn’t always mean they are the best option. In most circumstances, big banks give the thumbs down to cryptocurrencies. One industry leader, JP Morgan Chase CEO Jamie Dimon, frequently makes vociferous comments about crypto, and his company restricts nearly all participants in the crypto economy. One of the outliers, Goldman Sachs, has a crypto trading desk, but that’s a modest appropriation for a market that, at one point, exceeded an $800 billion market cap. When Cboe and CME Group launched their Bitcoin futures contracts, institutional interest was tepid at best. With over 325 years of history and expertise in banking, Barclays operates in over 50 countries and employs approximately 140000 people worldwide. On Thursday, reports surfaced that Barclays, an international banking juggernaut listed on the New York Stock Exchange, is doing business with crypto-related companies. The signed contract would seem to indicate that Coinbase presented compelling anti-money laundering initiatives for their exchange. The U.K. houses Coinbase’s largest customer base in Europe, and according to their representatives, its U.K. market is growing twice as fast as other parts of the world. This should significantly speed up crypto transactions in the U.K. Under the current setup, multi-day waiting periods are not uncommon as digital currencies clear hurdles and make their way into customer accounts. 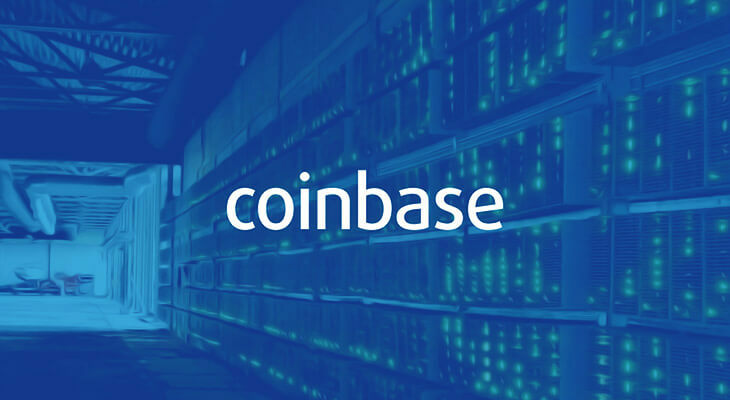 Headquartered in San Francisco, Coinbase is among the leading crypto exchanges, especially among new crypto investors. In December, Coinbase was the most downloaded app in Apple’s app store as millions of new crypto investors looked for a reliable, easy-to-use platform to enter crypto markets. This news comes on the heels of a busy few weeks for crypto exchanges. In January, the self-described largest crypto exchange in Japan, Coincheck, endured a significant hack that cost the company more than $500 million. The hack brought the full weight of the Japanese government crypto exchanges, and several were temporarily shuttered while security issues were addressed. This week, Coincheck announced that it made reparations to customers who lost money in the hack and that it was resuming operations in a limited capacity. Barclays’ agreement with Coinbase is an indication that some exchanges are maturing beyond the amateur technology implemented when crypto markets first began heating up. It’s evident that investors view cryptocurrencies much different in 2017 than they did in 2018, and partnerships like the one between Barclays and Coinbase is a reason to have confidence in the future of crypto.